My Physicians Have Their Own Physical Therapy Practice. Can I Still Come to Harrison Physical Therapy? The short answer is YES. Any time physical therapy is ordered, you the patient/customer have the legal right to choose the place that you feel will give you the best care available. However, some of our previous patients have wrongfully assumed that they are not able to attend our facility because the treating physician has recommended their own or another facility. A physician can recommend that you see the physical therapist(s) working for them, but they cannot force you to attend their own practice. 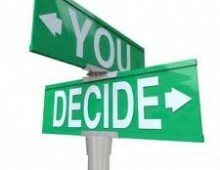 You have the right to choose which physical therapy practice you would like to attend. In our experience, the area physicians highly respect Harrison Physical Therapy and they have not had any problems with patients requesting to be treated at our facility. In fact, we have treated many of the area’s physicians and nurses and they themselves can attest to the outstanding care we provide. At Harrison Physical Therapy there is a reason that our most recent survey indicated that 98% of our patients felt that their problem or complaint “greatly improved.” Come see why are we the leader in rehabilitation in the Hudson Valley.